Cough Syrup and Coolant - AutoNetTV Media, Inc.
By Robert Cannon, CEO, AutoNetTV Media, Inc.
“Well, if you would ever eat vegetables and exercise………” Ever heard these words? I have been ill. It started once I got my flu shot and has taken me though the flu, inflammation of the throat, and bronchitis. Last night, a month later, I slept like a lamb! Today I was looking out the window on my drive to work. There was an inversion in the valley, holding in all the pollution. I had brought my running gear for a jog at lunch. I said to myself, “I am trying to be healthy and now this dirty air is preventing me from running”. AAARGGGGHHH! Two thoughts came to mind: how can I get healthy with this weather, and why does my white car have all of this black stuff all over it. Interesting how my own health and the health of my car are tied together. “Yes, dear, I will take better care of my body”. I also need to make certain that I take care of my car. If the outside of my car is turning gray, my cabin air filter, my car’s air filter, and all other parts are filling up with pollutants and keeping my car from tip top shape. 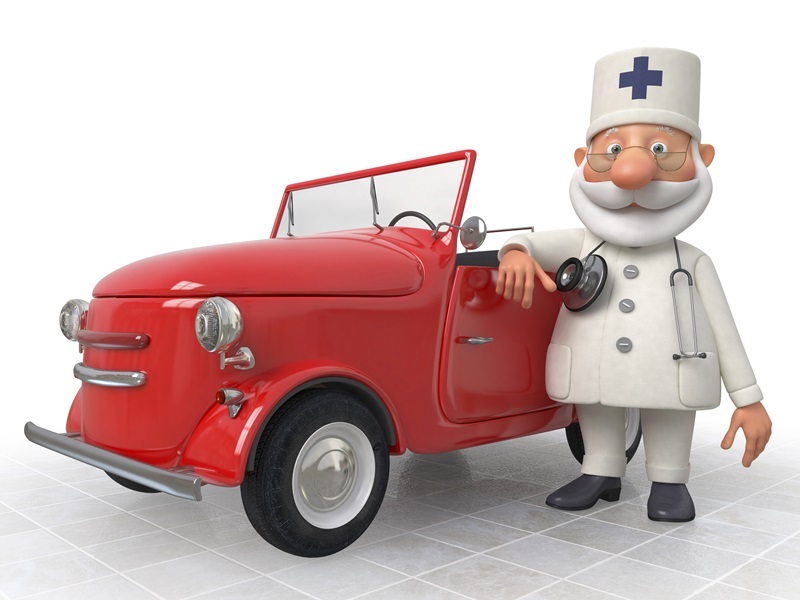 When you send out a customer email, flier, or company newsletter, you do your best to let your customers know the valuable services vehicles need to stay healthy. Enhance those messages with videos explaining what the services are and why they need to be performed. When I went to the doctor, he explained what bronchitis is, how it affects me, if it is contagious, and what I need to do to overcome the illness. I was even told the three levels of cough syrup I could take to help me suppress the cough: Over the counter, mild prescription, and heavy artillery to help me sleep at night. When I had input on the choices I was more confident in my ability to cure my cough. Showing your customers what their problem is and showing why they need it repaired will increase the confidence of your customers. Flu shots, coolant change, exercise, battery check, work out with weights, brake check, and wheel alignment: It is all the same. We need to protect our bodies and cars from the elements. Healthy cars make happy customers.